described by Maureen Kelly, Chairman of the Scottish Branch of the Jane Austen Society. Update by Rachel Howarth (CEC) at 7pm. Our local poet, recently profiled in the Grange newsletter will talk on her upbringing in Shelland with slides and read some of her poetry – both in Shetlandic and English. Paula is the Senior Curator of Maps, Mountaineering and Polar Collections at the National Library of Scotland on Causewayside. She will give a detailed talk(with slides) of maps of the Grange over the centuries and is happy to answer questions. Brian is Membership Secretary of our local cricket club on Grange Loan and promises a fascinating talk. 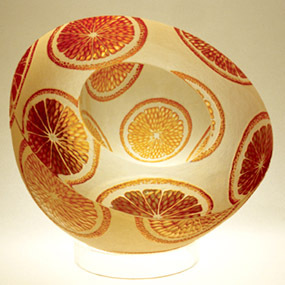 One of the world’s leading engravers, with work in public, royal and private collections throughout Europe, America and the Far East, Alison Kinnaird’s glass work ranges from small intimate pieces, to architectural installations, which incorporate light and colour. A recipient of many awards and winner of many competitions, her contribution was recognized in 1997, when she was presented with an MBE for services to art and music. Alison is also one of the foremost exponents of Scottish harp music, playing both gut and wire-strung Scottish harps. She is much in demand, at home and abroad, as a performer, a lecturer, and teacher in both her fields. Glass, she says, is a seductively beautiful medium. It has a more versatile nature than any other material. It can be made to resemble stone, water or metal, ceramic, gems or textiles. It can be solid or liquid, transparent or obscure, smooth or textured, heavy or apparently weightless. But it is in partnership with light that glass comes alive. It is then glowing and brilliant, reflective and refractive. “These qualities suggest the images to me, created by copper wheel engraving, a technique which has remained basically unchanged for 2000 years,” she says. in the “accursed country” they discovered; yet these descriptions are juxtaposed with exclamations of the magical beauty of the untamed continent, fuelling the imagination of many an adventurer. Today, just over 100 years later, the coldest and most isolated landmass on earth continues to beckon increasing numbers of intrepid travellers, who vie for a glimpse of its unique wildlife and beauty. During this photographic cruise of the Antarctic, discover what attracts and captivates scientists and tourists alike, and hear about life working as a cruise ship lecturer and guide in the last great wilderness on earth.